One of the largest and by far the most popular destination for UFC fighters around the world, UFC has risen to a great deal of prominence, especially in the last decade. Much like WWE in the pro-wrestling business, the UFC has become the go-to brand for most Mixed Martial Arts fighters. With UFC Fight Nights, and UFC Pay-per-view Shows, the company puts up three shows a month, sometimes even four. Conor McGregor, Anderson Silva etc. are just some of the big names in Mixed Martial Arts who are associated with the company, and as such are huge draws for their card. The upcoming fight between Conor McGregor and Khabib Nurmagomedov is one of the most hyped fights and is sure to bring in millions of views. With all of this going for them, UFC certainly has a lot to look forward to in the coming months. 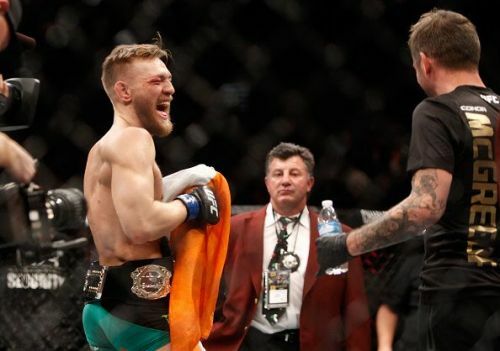 Naturally, doing as well as they are doing, UFC fights its fighters well. They put their bodies on the line and risk injury to win their fights, and training takes considerable effort as well. Given all of what they do, they deserve proper recompensation. Some of the stars are millionaires with just a few fights under their belts, while the wealth of others have accumulated over-time. In this list, we will talk about five of the richest UFC fighters as of 2018. 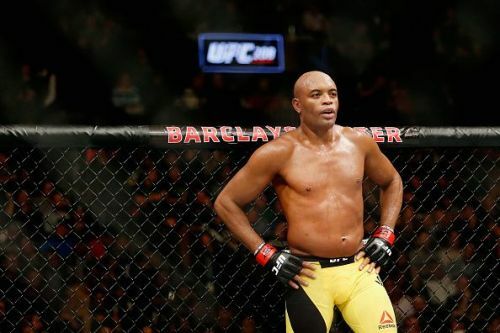 When it comes to Anderson Silva, there is no doubt that the fighter is a legend when it comes to Mixed Martial Arts. Not only is he immensely capable, the Brazilian professional is a holder of the longest title streak in UFC, when he won 16 fights in a row, and among those, 10 were title defences. After problems with USADA and a failed drug test, Anderson Silva will be free to resume fighting in UFC as soon as November of 2018. He has a net worth of $18 Million as of 2018.